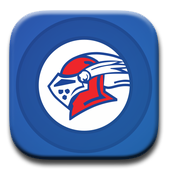 The Macon East Academy PTO is an organization of parents and faculty working together to enhance the educational experience of each student in all areas of campus life. Membership is only $25 per family. Funds raised by the PTO are used to purchase items not covered by the general budget. These projects are completed upon request of the administration or faculty and a vote of approval by the PTO Board. Please contact Robyn Streetman, PTO President, at 706-329-0929 or pto@maconeast.net with any questions regarding PTO.